Disney's on a roll with all their mobile games lately, from Crossy Road to the Magical Kingdom title that's out now. 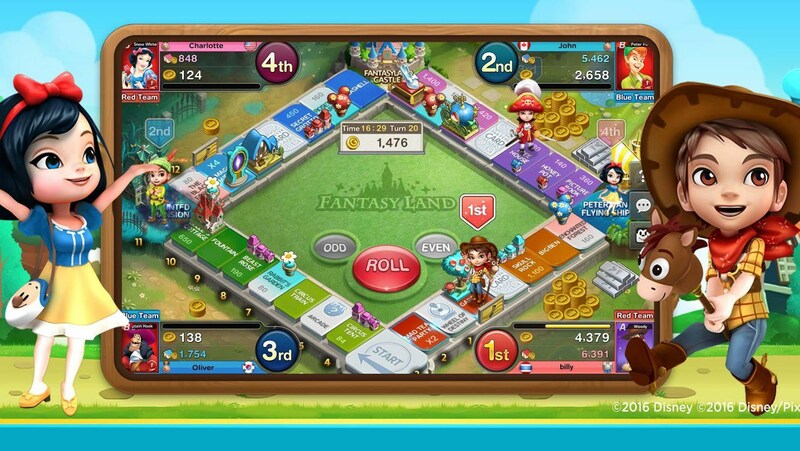 Next on the list is Disney Magical Dice from Netmarble, which lts players take up the role of their favorite Disney characters in a special board game that features special dice, power-ups, and character cards. Think Mario Party, but Disney-fied. The game will feature tons of familiar characters, even Elsa from Frozen (of course, who would have thought she'd be overlooked?). Mickey and Minnie, Buzz Lightyear, Captain Hook, Snow White, and more will be showing up to party with the rest of the crew. There's even a storyline mode where you can earn special character cards and then power them up later in the game, as well as fuse them with other character cards. If you're interested in playing, you can preregister for Disney Magical Dice now, ahead of the crowd at launch. You know how rabid players get when these things first come out. Personally I'm pretty excited to give it a try, so I'll definitely be doing so.